A HPANWO book review of Paranormality by Professor Richard Wiseman. Have you ever been in the frustrating position of knowing that something is true, but being unable to prove it to others who weren’t there? This is an almost endemic affliction for paranormal researchers of all kinds. Why? Why is it that if you want to invent a new light bulb or discover a new species of jellyfish all you have to do is get out there and do it; take the pictures, build the prototype, bring home the specimen and the breakthrough is made, yet when it comes to “weird stuff” something always gets in your way? We can speculate over the reason, but we cannot argue with the results: Inevitably the Skeptics will march out to tell us that what we experience and study simply does not exist. 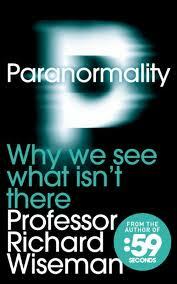 Professor Richard Wiseman is one of these people and in his new book Paranormality he tells us why. I met Richard Wiseman very briefly at TAM London (See: http://hpanwo.blogspot.com/2010/10/tam-london-2010.html). He comes across as a likeable and approachable man. When he did his stage show he was genuinely funny with the abilities that many professional comedians have. In fact Wiseman has a background in show-business and, like many prominent Skeptics, originally trained as a stage magician. He became fascinated with how his own skills of illusionism worked on the human mind and so decided to enrol at University College London and do a psychology course. 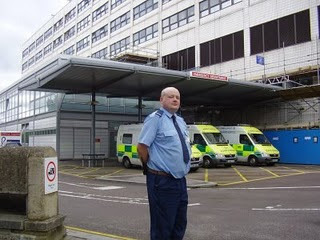 His path was set when he came across the work of Dr Susan Blackmore (MBA Gold), see: http://www.susanblackmore.co.uk/index.htm . He saw her on TV one night on a programme about the Supernatural, something that she used to do all the time. Her line was that rather than look into whether the Supernatural was true, because as far as she was concerned it wasn’t, better to question why it was that people believe that it’s true. So, beginning with this premise, Wiseman embarked on that quest. It struck me as soon as I picked up the book that I have never awarded Wiseman the MBA (Background: http://hpanwo.blogspot.com/2011/02/deathbed-mbas.html and: http://hpanwo-tv.blogspot.com/2011/02/bbc-horizon-mba-city.html . Perhaps I should. But not just like that; The MBA has to be earned! We’ll see how he does. Here’s Richard Wiseman’s website: http://www.richardwiseman.com/ and here is the website of his most recent book Paranormality: http://www.paranormalitybook.com/ . Wiseman has written several books, as you can see from his website above, and has appeared on TV several times, eg: http://www.youtube.com/watch?v=Z7s6yklp80Q . There has been a huge increase in paranormal reports at the moment from all over the world and this has coincided with a far higher profile for the Paranormal in the media than it has enjoyed for many years; which is the cause or effect of the other is debateable, but I sense that Wiseman’s book is a rebuttal to that entire culture. The book is written in a lively and easy-going style and it’s packed full of games that the reader can play with themselves and others. In fact the book is so interactive that it’s almost a game in itself rather than a narrative, a bit like those role-playing multiple-choice adventure books that were popular in the 1980’s. At various places the reader is also given Internet links to videos and articles related to the content and the links also have QR tags. These are barcode-like graphics that can give you instant access to the correct page without typing on your keyboard if your mobile phone or computer is fitted with the QR scanner. I’m one of these fuddy-duddies who has somehow managed to get through his life with a phone that just makes calls, so that was out of the question for this particular reader. The author encourages us to try various experiments that are safe and cheap and can be done at home, and which demonstrate many of the ideas in the book. These are printed in grey boxes on the page to separate them from the main text. I was curious to have a go myself. I did, but I’ll come back to that later. The book’s chapters each cover a particular segment of paranormal phenomena that Wiseman has worked with. The first deals with psychic mediums and as a regular attendee of a Spiritualist Church I was curious to hear his thoughts. As I said above, Wiseman starts with the spoken or unspoken premise that the Supernatural is unreal and so therefore mediums are not really communicating with dead people, but he did do an experiment with a British psychic called Patricia Putt who applied for James Randi’s Million Dollar Challenge (See here for background: http://hpanwo.blogspot.com/2010/10/tam-london-2010.html and: http://www.randi.org/site/index.php/1m-challenge.html) Randi got together wise Wiseman and Professor Chris French (MBA Gold) (See: http://hpanwo.blogspot.com/2008/01/chris-french-mba-gold.html) to test her. They did a double-blind experiment in which ten people unknown to Patricia would be brought into a laboratory dressed from head to toe in a black cowl and mask and made to sit in a chair with their back to her and keep completely motionless and silent while Patricia wrote out transcripts from “Spirit” for each one. Patricia agreed to the test conditions and the experiment began. The test subjects were then gathered together and asked which of the unnamed transcripts most matched themselves. If Patricia was really psychic then the subjects should have easily found their own transcript. They could not. Patricia cannot be a fraud, otherwise she’d never have agreed to do the test, but she might be what M Lamar Keene calls a “Shut Eye”, somebody who has fooled themselves into thinking they’re a genuine medium (See here for background: http://hpanwo.blogspot.com/2008/08/psychic-mafia-by-m-lamar-keene.html) The conclusion of the chapter goes: “For over a century researchers have tested the claims of mediums and psychics and found them wanting”. Is that so? Then my first question would be: Why did it take that long? Surely after a hundred years of failure they’d have given up. But they haven’t given up; nor does everybody agree that the results have all been a failure. What Wiseman didn’t mention in the book, and it’s quite possible that he doesn’t know, is that experiments like the one he did with Patricia Putt have been done before, sometimes under even more rigourous conditions. And that on some of these occasions different results have emerged. A good example comes from the work of Dr Gary Schwartz, see: http://www.drgaryschwartz.com/index.html . Here’s a radio interview with Gary: http://www.redicecreations.com/radio/2011/03/RIR-110324.php in which he describes why he thinks that some mediums etc are real. “Gullible Gary”, as James (“the Jerk”) Randi calls him, has investigated the same subjects as Richard Wiseman and has come to a radically different conclusion. This is why I stress again and again that when you read a Skeptical book like Paranormality do remember that what you’re reading might not be the whole story and to accept only that one book’s word for it is possibly a path to being misled. (The same goes for Gary Schwartz’ books of course.) It’s vitally important to look to as many different sources as you can. Wiseman has been working for many years with an anonymous source that he calls “Mr D”. Mr D is a successful practicing medium for the north of England. He speaks at Spiritualist Churches, does sittings, Tarot card readings, crystal balls, the works… only he’s not really psychic. Mr D had confessed to Wiseman that he is a very proficient illusionist who uses stage conjuring tricks to convince his clients that he really does have paranormal abilities, and he knows it. 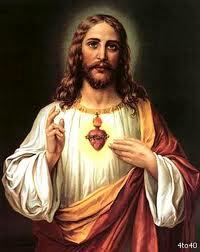 However it is an activity that has generated a healthy living for himself and so he’s unwilling to give it up. The book then gives the reader the basics of Cold Reading, the mind-game in which you can persuade a person that you know far more about them than you do: Flatter them with pronouncements from “Spirit” that says how nice they are etc. Give them lots of contradictory statements to choose from like: “You’re sometimes very outgoing and chatty, but you also like peace and solitude”. Keep it vague! The human mind will easily make meaning out of meaningless and random comments, so sound confident when you talk about anything and let the sitter’s brain pick out the message. Fish for information from the sitter and build upon each correct guess in stages; if you get it wrong, don’t worry! “So if you say the name “John” and the sitter shakes their head, simply backtrack and go: “Oh no not John… it’s more like Jean” and carry on till you get it right. According to Wiseman, if you learn the details of these psychological techniques you will be able to pass yourself off as a medium and do anything that mediums do. But can you really? Some mediums are a lot more specific in what they say. If you go along to a Spiritualist Church to find true and genuine clairvoyance you may have to visit a few times, but it is there. What’s more, according to other scientists in the same field as Wiseman, they’ve been tested properly and passed. At the end of Chapter 1 I was a bit disappointed that Richard Wiseman had not yet said anything that qualified him for an MBA. So I read on. Chapter 2 explored the world of Out-of-Body Experiences- OBE’s and its related phenomenon, the Near-Death Experience- the NDE. It was experiencing one of these OBE’s that led Susan Blackmore to her interest in the Paranormal. She is not the first to wonder at these kinds of experiences and seek to gain scientific evidence of the existence of the soul beyond the body. An American researcher in the 19th Century called RA Watters developed an extraordinary instrument that consisted of a chamber filled with water-vapour and a highly-sensitive camera. He postulated that Spirit could interact with the water molecules in the vapour and send a message through altering the molecules by Brownian Motion. According to Wiseman, the photographs Watters took of strange shapes in the steam are still available, but are not very convincing today. I wonder if this is true because Gary Schwartz describes a very similar-sounding experiment that he did in his radio interview linked above. The question I’m sure you’re asking, or I certainly hope you’re asking, by now is: “If psychical researchers who say that the Supernatural is real are correct then why are books like Wiseman’s still saying that it’s not? Wouldn’t the Supernatural being real be big news? Why aren’t there books on the Paranormal in every scientist’s laboratory?” The answer is long and complicated and I’ll go into this in detail later. Anyway on page 66 we get an attempted MBA from the author when he accuses RA Watters of “wishful-thinking”. Hmm… close, but he’s not there yet! In 1977 a claim was made that proof of NDE’s were true and it was announced in the psychic research community. What happened was a young Mexican migrant named Maria had a cardiac arrest in hospital and when she came round she told her caseworker Kimberly Clark that while she was hovering close to death she floated up out of her body and visited the nurses’ home nearby. She saw that somebody had placed a well-worn a shoe, a trainer, on one of the window sills. The caseworker who was named after a toilet-paper manufacturer went to the place indicated by Maria and saw that the trainer was indeed there, exactly where Maria said it had been and it matched her description of it. This story has been repeated in numerous “New Age” (says the author with a contemptuous air!) and alternative science books and journals and hailed as proof that the soul can travel outside the body. However Wiseman claims that it’s been debunked. This is because in 1996 three Skeptics from Canada, including Dr Barry Beyerstein who gave Our Dave such a hard time when he did his show in Vancouver, see here at 34.09: http://video.google.com/videoplay?docid=-2912878405399014351# , travelled to the hospital involved and interviewed Clark. They then placed a trainer of their own on the window sill and found that the location was much more accessible than Clark had claimed. This means that you don’t have to be out-of-your-body to see it; in fact the shoe on the sill was visible both from inside the room and from the grounds outside the nurses’ home. They then concluded, although it would be more accurate to say speculated, that Maria had probably just overheard somebody talking about the trainer while she was unconscious and incorporated it into her “imaginary spirit flight”. That sounds highly unlikely to me. I often listen to doctors talking while they’re looking after unconscious patients and they discuss all kinds of things. I wonder why Maria’s NDE didn’t therefore also feature a visit to the Doctor’s Mess and a relaxing pint of lager after a hard day’s work, the breasts of an attractive nurse at the Renal Unit, a trip to Florida with the Postgraduates Union, or a new Mercedes Benz in the showroom down the road. You see where this speculation leads us? The Case of the Spiritual Sneaker was never a strong one to begin with, but there’s no point trying to debunk it with an equally shaky piece of “Skepulation”. Experiences like Maria’s have been done under laboratory conditions and proved positive. However we must once again turn to old books for the details; because I’ve written before about how you can often find information in older books that is omitted from newer ones. A good example is with Harry Houdini, see: http://hpanwo.blogspot.com/2009/05/houdini-code.html . A few years ago I ordered two books from Time-Life called Psychic Voyages and Search for the Soul and I was very surprised that Paranormality doesn’t mention the work of investigators like Robert Monroe, an American businessman who became an expert Astral traveller and could leave his body at will. He founded an entire scientific institute to study the phenomena and did extensive and rigourous tests with a very professional attitude. Why doesn’t this book mention them? Then again, why should it? Psychic Voyages and Search for the Soul were limited edition titles published in the early 1990’s. How many people have read them? And if they have, how many remember them? Wiseman says on page 93 (again edging slightly towards an MBA!) “For decades a small number of devoted scientists attempted to prove that the soul can leave the body… The enterprise failed because you are a product of your brain and cannot exist outside your skull.” But from what I can see this is not certain at all; and Paranormality doesn’t explore the alternative explanation: that OBE’s and NDE’s are actually voyages by some non-physical part of ourselves beyond the normal confines of our everyday physical experience. Wiseman then describes the method behind a do-it-yourself OBE. First we have to become good at visualization in our minds. Close your eyes and imagine the place you are now, but not as you would see it through your eyes, but as how it would look if you were looking down from above yourself. Can you visualize what the top of your head looks like, the table you’re sitting at, the carpet under your feet? Then find a very comfortable armchair and relax into it. Make sure there are no other people around or noises and smells that might disturb you. Unwind and let go limp each part of your body at a time until you are totally still and all your muscles are lax. Now, remember your visualization; close your eyes and see yourself standing in the room you’re in a few feet in front of the armchair. Wiseman reckons that within 30 to 40 minutes it should be possible to flip your own sense of location into the imaginary person standing in front of the chair. If you get really good at it you should be able to fly around at will anywhere you like. If you get scared, don’t worry; just wiggle your finger and the effect will be broken. I tried this once and it didn’t work, but the author suggests several other easier tests of “identity illusion” including one I tried involving setting up a double mirror and looking at the back of your own head. I followed the instructions and it did give me a very creepy and vertiginous feeling of not knowing quite where I was. Wiseman put this section in the book because he says that OBE’s can be generated so easily because the whole concept of being inside our bodies in the first place is an illusion. We see the world through our senses and feel our own body move, and this is where our brain generates a location for us in space to see ourselves. Take that sensory input away and this sense of space and location is lost and up for grabs. One thing he does not suggest because he’d consider it a waste of time, but I would definitely try, is that if you manage to master the OBE armchair trick get a friend to write something on a piece of paper and stick it on the top shelf of the kitchen, making sure you don’t know what was written there. Now when you get out of your body, float to that shelf and have a look at what’s written there. If you can read it correctly then congratulations! You’ve just proven Wiseman and Blackmore wrong. Mind you, that’s already been done according to some sources, sources the author does not include in the book. Despite all this however, Wiseman ends Chapter 2 still falling short of MBA-hood. 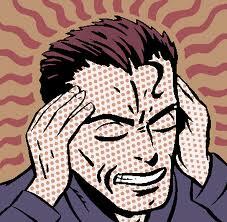 Chapter 3 deals with a very closely studied phenomenon: telekinesis. This where a person is able to move material objects without touching them or using any force known to science. Like most Skeppies, Wiseman focuses his attention on some of the least impressive examples of anything he’s criticising. Favourites are Uri Geller and Sylvia Browne. Wiseman begins with James Hydrick. This young man fooled the world into thinking he could make the pages of books turn by the power of his mind when in fact he was secretly blowing on them, see: http://www.youtube.com/watch?v=9sblPQWKHOY , until he was exposed by James Randi here: http://www.youtube.com/watch?v=QlfMsZwr8rc . Eventually Hydrick made a full confession, see: http://www.youtube.com/watch?v=u7yDLRib5CQ . Another well-known fake psychic who is so renowned that he’s almost beyond even mentioning is Uri Geller. In a way Wiseman and his fellow Skeptics ate justified in their pursuit of the second-raters because it’s usually the second-raters who become the most celebrated and successful. 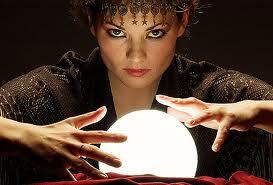 I see better clairvoyance in any Spiritualist Church every service than the likes of Sylvia Browne and Doris Stokes. The same goes for Telekinesis; there is a lot of research done in controlled conditions that shows people moving objects without touching them, not on a stage or TV studio, but in a laboratory. Why is that? The answer is a big subject, but for some reason the media authorities bring these mediocre sideshow mountebanks out of the obscurity they belong in and give them vast amounts of money and publicity until they become household names. I’m particularly interested in the connection between many of these folk and the Intelligence Agencies; see: http://hpanwo.blogspot.com/2011/03/findhorn.html . But that area of research is way beyond the scope of Wiseman’s book. However he does stoop to teaching the reader how to do Uri Geller’s spoon-bending trick. At odd times in the book I found what were probably just typoes, dates that were wrong, spelling mistakes etc. But then I remembered that Wiseman is a shrink! I couldn’t help wondering if these were not typoes at all, but put in their deliberately to do something to our minds! For instance in the section on OBE’s in the questionnaire to judge how good you were at visualization the author includes the question: “Do you believe that stoats work too hard?” Later on he said that he just put that in a joke. But was it? Perhaps I’m now being paranoid; maybe it was just a joke. I can’t help it though; I have a natural distrust of psychologists. I’ve had some bad experiences with them in the past and psychology has painful connotations for me. I started reading Chapter 4 with great expectations; it was called Talking to the Dead and I thought: “We’ve got to get an MBA here. Come on, Richard!” And sure enough HE DID IT!... MBA!... MBA!... MBA!... I do hereby, on behalf of the MBA Committee, decorate Professor Richard Wiseman with the Materialist Bravery Award- Bronze! Congratulations, Richard!... Anyway, on with the book. This chapter focuses on Spiritualism. According to the author this was an invention of two teenage girls, Kate and Margareta Fox of New York, in 1848. The girls and their parents moved into a new house and the girls soon began to play tricks on their parents visitors by secretly creating loud noises in the structure of the building. Everybody thought that the house was haunted and the girls were very amused and decided to see how far their prank could go. Much further than they expected, it seems! The witnesses began attempting to talk to the fake ghosts and Kate and Margareta played along by using a knock-once-for-yes-twice-for-no code that became a cliché. Soon the girls were performing on theatre stages to fee-paying audiences and making a lucrative profit. The first mediums had arrived, apparently, and the term “Spiritualism” was coined. But the pressure of fame and fortune got to them and they wished they’d never begun their prank. They decided to pull out before they dug themselves in any deeper and in 1888 made a mass-public confession in front of a huge audience and press conference. But it was too late. Spiritualism had become too popular and to quote the author on page 144: "The vast majority of Spiritualists were eager to cling on to the comforting thought that they might survive bodily death." And it is this statement that has finally earned Richard Wiseman his MBA. Why did he wait till page 144? Spiritualism only began to decline in the early 1920’s when radio and cinema came along to distract the public and today Spiritualism is just a shell of its former self, the few remaining churches run by a handful of old loyalists. The author then goes on to explain some of the tricks fake psychics, all psychics by his definition, use: Spirit trumpets, ectoplasm and spinning tables etc. When he comes to Ouija Boards another contradiction emerges between his story and that of other sources. Wiseman claims that the Ouija Board is a European invention produced in the late 19th Century during the heyday of Spiritualism, by the board game designer Waddingtons, the people who also brought us Cluedo, Subbuteo and Monopoly. Its name is a compound of the French word “oui” and the German “ja”, both of which mean “yes”. But other researchers say that the board has its origins in North Africa and its name is a mispronunciation of the town of Oujda in Morocco where it was used by Muslim diviners to talk to Spirit (Everard 2007). And in this conundrum lies Wiseman’s mistake. The theme of the entire chapter is that Spiritualism is purely and totally a product of the Fox sisters’ deception; the author portrays it as a virtual non-event before 1848. I couldn’t agree less! The concept of the soul, its journeys after physical death and the art of communicating with it, go back as far as can be traced through history. Archaeological evidence and the surviving modern day Shamanic cultures indicate that it was very likely to have been practiced in prehistoric times. This is common knowledge in non-European countries. How we Europeans so often fall into the delusion of seeing the whole world as merely shadows cast by Europe’s light! If we can get over that delusion, planet Earth and human history look very different. The notion of the Ouija Board being a European plaything bought on shelves alongside chess and Backgammon sets is symptomatic of that fallacy. The reason Spiritualism seemed such a novelty is because Europe’s indigenous Shamanic tradition was all but wiped out over a 2000 year period by the Illuminati-controlled Roman Empire and Christian churches (See here for background: http://hpanwo.blogspot.com/2010/01/boudica-and-perennial-holocaust.html). In the Middle East soul communication had a somewhat easier ride. As I say in this film: http://hpanwo-tv.blogspot.com/2011/04/river-ghost.html Islam has a much healthier attitude to the Paranormal than Christianity, especially in areas dominated by Sufism (What we call “extremist Islamic terrorism” today is a fairly new thing, less than 300 years old) The Sufis, these great Muslim Gnostics, were the people most likely to have been using this soul communication method at Oujda that inspired some wily visiting wheeler-dealer to “invent” the Ouija Board. Spiritualism is not just a product of a pair of bored teenage girls and today’s psychics are not just old folk waiting near the front of the queue for their own turn to enter Spirit. Lots of young people are interested in it. Many of the less-famous Mediums are excellent; in fact one called Helen Duncan was imprisoned during World War II because she was passing on official secrets from the spirits of dead servicemen! Between Chapters 4 and 5 there is an interlude where Wiseman tells a story which makes me wonder exactly what point he’s trying to make. He announces the segment as a testimony to the “extremes of human gullibility”. It concerns a house on the Isle of Man that was haunted by a talking mongoose! The entities name was “Gef” and he was discovered in the early 1930’s by the house’s residents, James and Margaret Irving and their daughter Voirrey. Gef used to hide behind the walls and only show his claws through gaps in the panelling, but he had a high-pitched squeaky voice and he talked a lot, reciting all kinds of pronouncements in perfect English. He became a media sensation and visitors streamed the Isle of Man to try and visit the house. I’d never heard of this event before and I was waiting for Wiseman to finish the story with Voirrey’s confession and lurid and gloating descriptions of the blushed faces of all the Gef-believers, but it never happened. The author relates that Gef simply one day vanished and Voirrey swears he was real and continued to do so until she died in 2005. So why did Wiseman even mention it? How does a case that was never exposed as a hoax illustrate the extremes of human gullibility? Perhaps it’s just that a talking mongoose sounds so strange compared to what is generally accepted as possible that this is a reason to dismiss it. It’s like with David Icke and the Queen being a lizard; critics of the theory don’t usually study the details of the idea at all, but instead just automatically reject it on the grounds of its apparent insanity in comparison to the existing notions of normality. This doesn’t sound very scientific to me and if he takes this line then Richard Wise-man is not living up to his name. After being regaled with meaningless tales of talking mongooses (or is it mongeese?) the author delves into the world of ghost-hunting. I didn’t realize this, but Wiseman has been involved in hands-on ghosthunting missions, including one at one of the world’s most famous haunted houses, Hampton Court. Needless to say he reports no definitive supernatural activity. For him, ghosts are yet another example of the flaws in human psychology. He reckons that most ghosts are only seen just before or just after going to sleep and that they are an effect of peculiar altered states of consciousness that the perception of weird entities surrounding us can occur. 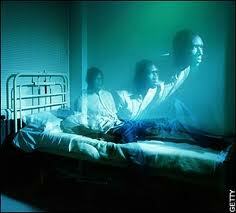 In other words ghosts are related to the apparitions produced by sleep-paralysis. This is a sometimes very disturbing experience when you start to wake from your sleep, but the mechanism in your brain that paralyses your skeletal muscles is still active and so you are aware of your surroundings, and may even be able to see, but can’t move or speak. In this state people often describe how strange figures appear at their bedside and sometimes even touch them. This interaction can be deeply upsetting with the apparitions violently attacking and even sexually abusing the sufferer. Wiseman says that this at last reveals “the remarkable truth behind these apparitions”, a very bold and cocky assertion! But is it justified? I’ve written before about my own encounters with ghosts, in fact I’m now making a series of films about them, starting with this one: http://hpanwo-tv.blogspot.com/2011/04/ghosts-in-park.html . My own encounters with ghosts, or ghost-like phenomena to be exact, do not fit in with Wiseman’s explanation. It is true, however that on two occasions my sightings have been linked with sleep; for instance, the boy in my bedroom, see: http://hpanwo-tv.blogspot.com/2011/04/bedroom-ghost.html . This case in unprovable and may very well be a hypnopompic experience; I have no way to deny that for sure. However the event in 2008 on a train is different, see: http://hpanwo-voice.blogspot.com/2008/10/real-ghost-train.html , I swear I had definitely not seen the photo Ustane showed me beforehand. Also I’ve seen ghostlike phenomena when I’ve been wide awake, see my Ghosts in the Park film above. Another key element was that I had an independent witness, Jenny. In fact I must be one of the few blokes who’s ever been dumped by his girlfriend because of a ghost! The author then goes on to describe a couple of “Carlos” activities by Skeptical researchers. One did this dressing up as a ghost by draping his body in a white bedsheet and walking in circles around graveyards. What struck this researcher was that very few of the passers-by reacted to his presence, as if they had a cognitive dissonance that prevented them from seeing him. This gave him what he thought were amazing insights into the functions of the human cerebrum, although his study does not mention if any of these non-reactive members of the public burst into helpless laughter the moment they turned a corner, as I certainly would. The term “Carlos” relates to a famous hoax played by James Randi. He hired an actor, Jose Alvarez (Interestingly he’s the cousin of Willie Rodriguez of 9/11 Truth fame), to pretend to be a spiritual guru, see: http://www.skepdic.com/carlos.html the point being to prove how easy it is for a good actor and illusionist to hoodwink the public. However these plans can often backfire, as in the case of the “Avebury Carlos”. It showed that even the so-called “most gullible members of society” have turned out to be much better witnesses than Skeppers previously thought. A few years ago, some engineers built a fake UFO out of a model plane and flew it over Avebury, an ancient sacred site and a gathering place for mystics and pagans. The intention was to fool them and therefore show them up for being dupes in the same way Randi did with his own Carlos, but it didn’t work out quite as well as the hoaxers planned. The hippies at Avebury did indeed report seeing a UFO, but they reported pretty much what they saw, describing the craft accurately. There were none of the embellishments and exaggerations that the hoaxers were banking on. I’m quite open to the idea that altered states of consciousness are involved in ghost sightings, but this does not automatically mean that they are just the figment of our imagination run wild. It interests me that people who “hallucinate” like this often hallucinate the same things, even if they’ve had no way of exchanging information. A good example is the twin alien abduction cases of Credo Mutwa and Antonio Villas Boas, see: http://hpanwo.blogspot.com/2009/08/alien-abduction-similarities.html . I’m getting very interested in research by people like Stanislav Grof, Rick Strassman and Graham Hancock, see: http://www.rickstrassman.com/ . Their hypothesis is revolutionary, that the brain’s perception of reality at any time is merely a “tuning” operation to a certain frequency, like the brain is a kind of radio receiver, “Channel Normal” as Graham Hancock calls it, and that ghostly and alien experiences are no less real than our everyday world, they’re just a “retuning” or “interference” on the signal. This is an extraordinary theory, but in the Shamanic cultures that I mentioned above this is not a surprise; in fact it’s the very thing they’ve been saying for thousands of years and tried desperately to tell us before the Inquisitor’s rack and the Conquistador’s sword cut them short. The following chapter is all about mind control and talks of hypnosis and religious cults. This is probably the chapter I agree with the most. Wiseman warns us of the dangers of people like Jim Jones, a man who convinced hundreds of people to commit suicide. I’ve had my own experience of these organizations, although I didn’t know it at the time, see: http://hpanwo.blogspot.com/2011/04/jesus-christians-disclaimer.html . The question that has arisen on the HPANWO Forum (see Links column) is that could there ever be a Skeptic cult? Seeing as Skeptical organizations don’t try to isolate their members from other points of view then I’d probably say no, but this should still be an interesting discussion! What the “no” answer in this case reveals is that David Icke can also not be described as a cult. David is not a Jim Jones! This is because David also doesn’t attempt to withhold alternative viewpoints from his audience. So LunarOrbit, the HPANWO Forum member who described David as a “cult leader”, is totally wrong. The only criticism I have with Wiseman over this chapter is that he both overestimates and underestimates mind control where it’s convenient for his worldview. The overestimation is where he describes the famous case of a performing horse from the turn of the last century called Clever Hans. He got his name because he could apparently read the minds of his audience by tapping with his hooves numbers written secretly on pieces of paper. A scientist noticed that Hans’ owner who was on stage with him knew what numbers were written down even though Hans didn’t and realized that this test was not blinded as a proper scientific experiment should be. So he persuaded the owner to not look at the paper either. Immediately Hans’ mind-reading abilities dropped from 98% accurate prediction to zero. The adjudicator concluded that Hans’ owner was unknowingly instructing Hans with subconscious clues. But can these subconscious clues really make the difference between 98% and zero, especially when you're dealing with the added complications of communicating with an animal, not a fellow human? The underestimation is that Wiseman describes how advertisers as well as stage magicians use this subtle mind control on their unsuspecting victims, but he doesn’t consider the possibility that governments might want to take advantage of this science. The book never once mentions MK Ultra or any other government mind control programme, when really I think it’s impossible to take seriously any written work about the subject unless it considers this angle. So despite agreeing with this chapter more than the others I still think it considerably lacks scope. The last subject chapter is about prophesising the future though your dreams. Wiseman thinks this is a case of tossing a javelin into an orchard and being amazed at your aim when it hits an apple. He says we have so many dreams that it’s inevitable that of all the several billion people sleeping at any one time somebody somewhere is bound dream about a plane crash or terrorist attack etc that accurately matches one that subsequently takes place. This does not explain however, people like my mother who repeatedly and personally experienced prophetic dreams. For example she had nightmares before her brother and other close relatives died. When TWA 800 was reported crashed in 1996 I remember my mum had a dream the night before where she saw an airliner with red livery explode in mid-air. It was only later that it came out TWA 800 had exploded in the air and fell into Long Island Sound in many pieces. There’s also the strange case of the “Man Who Paints the Future”, see: http://vimeo.com/2315112 This programme features Randi investigating him. The accuracy of his art, especially the 9/11 and Concorde crash, seems beyond the realms of reasonable belief in coincidence. At the end of the book the author outlines the themes of it in a conclusion section. Again he reiterates the underlying premise of the volume: There is really no such thing as the Supernatural or Paranormal. They exist only in human fantasy. The purpose of the book has been to reveal why these facets exist in human minds and societies. As you can see I have read the whole book and I challenge the initial premise so, although Wiseman might be right about how our minds make mistakes and see the Paranormal when it is not there, I do not agree with him that this means that this is what the Paranormal is, on every occasion. I’ve given my reasons why and it’s up to you, dear HPANWO-reader to decide whether you agree with me or Prof. Richard. The author ends the book by saying how people look very disappointed when he says that there’s no evidence for the Supernatural being real. Is this because they feel that a world devoid of the Supernatural is a less enjoyable and interesting world? Wiseman is perfectly content with the idea that there is no such thing as the Paranormal. He thinks the world is interesting and enjoyable enough as it is. This is where very often people like me are polarized by our critics; I share Richard’s enjoyment and interest in the natural physical world. As Douglas Adams once said, as part of his Hitch-Hikers’ Guide to the Galaxy comedy book: “Surely a garden can be beautiful without imagining that there are pixies living at the bottom of it.” I get quite irritated when people say such things to me. Yes, a garden doesn’t need pixies to be beautiful, but just because I believe that there might be pixies living in it, does that mean I don’t appreciate its physical beauty in the same way they do? Of course it doesn’t! Reading Paranormality was very interesting for me and I’m glad I did it. To begin with, I’m interested in Skeptics and what they think even though I’m not one myself; I go into more details here: http://hpanwo.blogspot.com/2008/07/skeptic-in-pub-21808.html and here: http://hpanwo.blogspot.com/2010/10/tam-london-2010.html . I recommend the book to anybody, Skeptic or Woo, who’s interested in the philosophy of science. One thing to remember, “Paranormal” is actually a bad word, for the Paranormal is as normal as breathing and eating. It’s a part of your life and mine and it has been an element to the human experience since we first became human. Exactly as the scientific maxim goes: Just because we don’t understand it yet doesn’t mean we never will! Last year a film was released in which I appeared briefly called The Tyrant Within. It was a very well-made documentary about electronic implants and their dangers in a Big Brother State. See here for essential background: http://hpanwo.blogspot.com/2010/09/my-interview-with-smaller-fish-films.html . I ended up being interviewed when I met the producers at the AV3 Conference in Bristol. They attended the speech by Greg Nikolettos, see: http://hpanwo.blogspot.com/2009/11/alternative-view-3-part-3.html . I’d seen them hanging around with Greg and assumed that they were part of his entourage; as it turned out this was definitely not the case! A little while later, a man and a woman called Alf and Sue came round to my house and conducted an interview for about an hour. They were very pleasant and cooperative people and we got on well. I was very glad to help them; and as you can see in the link above, I was fairly impressed with the result. However last week I had a phonecall from a friend I know through the Truth media who told me that she had to contact me urgently because she was so alarmed to see me in that film. “Do you know who those people are! ?” she asked. It turns out that Alf and Sue belong to a very orthodox and evangelical Christian sect called The Jesus Christians. Here’s their website: http://www.jesus-teachings.com/ . There are only about two dozen of these people in the world, but they’ve managed to have quite an impact and generate a lot of controversy, including alleged kidnappings, donating kidneys for transplantation to strangers and advocating corporal punishment. They’ve been called a “cult” by the media. The film The Tyrant Within is part of a double-box DVD set and the second DVD is this one, Beyond Justice See: http://www.youtube.com/watch?v=R29tIKWP7xw . At 2.14 in Part 2 we see the very same man who interviewed me, Alf, being flagellated by proxy for the Chinese Government for their abuse of Falun Gong practitioners. This presumably emulates Jesus’ experience when he was crucified for “the redemption of sins”. It’s not my intention to dictate to you, the HPANWO-reader, what to think. If you support or sympathize with the ideas of these people, then that’s fine with me. All I want to say is that at the time I was interviewed for The Tyrant Within I was not aware I was taking part in a Jesus Christians production and, much as I like the film, I don’t feel comfortable with that knowledge. I am certainly not anything to do with the Jesus Chrstians and will not be participating in any of their future activities, no matter how much I applaud the film’s specific subject-matter. I’ve written to some of the other cast members about this subject and two have written back to tell me that they weren’t informed either.